Accident Caused by Defective Tires? What you might not consider, however, are your tires. You expect they'll last, and if you can still drive well, it might seem like your tires are just fine. Tires that feel fine can hide dangerous defects. If you have a faulty tire, even small moves can land you in a serious accident. If your accident was caused or worsened by a bad tire, you may have a case against the manufacturer, distributor, or even the retailer of the tires. You deserve a highly rated law firm that has experience going up against companies that make and sell defective products. You deserve experienced attorneys who will work with investigators to gather evidence and prove your case. You deserve compassion and respect. But above all else, you deserve peace of mind. For over three decades, we've helped thousands of people who've been seriously injured in all types of car accidents, including victims of defective products. We'll be by your side every step of the way, fighting for your legal rights and working to get you the money you need to move on with your life. And remember, there's never a fee unless we get money for you, so you've got nothing to lose. Injured in an accident? 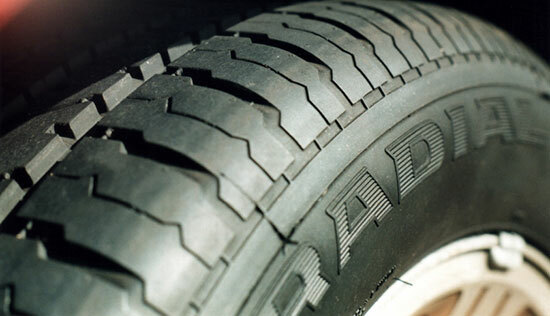 Think you are a victim of defective tires? Evidence disappears quickly, and there are time limits to file a claim. Contact us for a free legal consultation. We'll tell you if we think you have a case, and there's no obligation to use our services. Get legal help from a law firm you can trust. Get in touch with us today.